A soufflé is a classic French dish that owes its loft to whipped egg whites and quickly collapses when removed from the oven. Don't be intimidated by its highfalutin reputation. Improved techniques mean soufflés are easier to make than ever before. 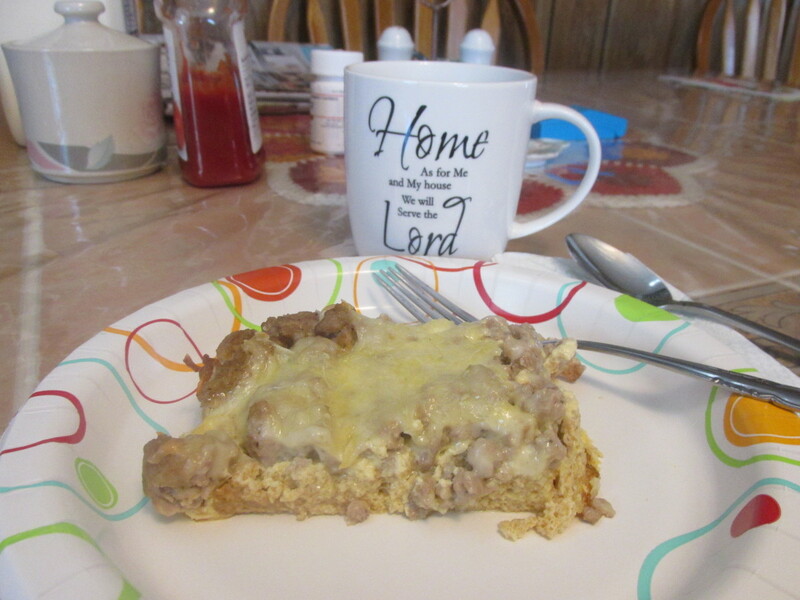 Just think of it as a glorified breakfast casserole. And best of all, this recipe is easy to adapt to ingredients you might have stored in your pantry or refrigerator. Several steps must be followed to make a soufflé. First you prepare a béchamel, or light cheese sauce. If you’ve ever made a batch of homemade macaroni and cheese, you’ve made a béchamel. Then fold stiff egg whites into the base. Last of all, spoon the batter into cupcake tins or individual ramekins and slide it into a hot oven. Thirty minutes later an impressive soufflé emerges, like a butterfly flaunting gorgeous wings after a long stint in its cocoon. I'll never forget my first experience with soufflé. At the ripe age of 10 years old, I was sitting in a restaurant with my parents.The tablecloth, crisp and stark, stretched out before me like an arctic glacier. I eyed the menu's list of French dishes with a sigh. Although dressed to the nines in an eyelet dress and patent leather slippers, I fit into this crowd about as well as an elephant fits into a bikini. Sensing my discomfort a tuxedoed member of the staff stooped down and, in a whispering tone, suggested several appropriate dishes. Much to my parents' pleasure, I chose a seafood soufflé. What was a soufflé? I had no idea what to expect. Before long, the waiter set a plate before me. In the center stood a dome of golden pastry, puffed up like a pigeon's breast. The mound deflated as quickly as a hot air balloon when I plunged my fork into it, but the ethereal custard concealed a special treat: tender chunks of seafood. I felt like a princess. We hope this soufflé also makes you and your family feel like royalty. Enjoy! The base is a simple béchamel which can be prepared ahead and stored in the refrigerator until ready for use. Store egg whites overnight in the refrigerator and allow them to return to room temperature before attempting to beat them into stiff peaks. This recipe is very forgiving. Even if whites are over-whipped, the results are still impressive. 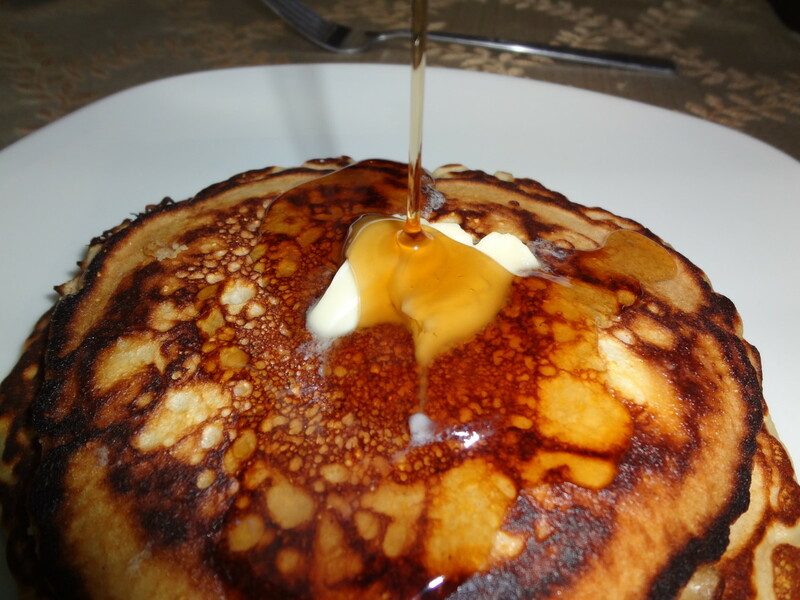 See video clip about beating egg whites until stiff. If you're in the market for a stand mixer, the KitchenAid makes whipping egg whites a snap. Allow egg whites to return to room temperature to get the most volume. Use a clean bowl to beat the whites and don’t allow yolks or any fat to combine with whites. Gently incorporate stiff whites into yolk mixture with a spatula, being careful not to deflate them by mixing too quickly. Le Creuset makes a wonderful spatula that is heatproof, durable and comfortable to handle. 2. Grease muffin cups or individual ramekins with butter and dust with flour. 3. Melt butter in a saucepan on medium heat. 4. Add flour and cook for about one minute, whisking constantly. 5. Whisk in warm milk and heat until it begins to bubble. 6. Remove from heat and add cheeses, salt and garlic powder. Stir until melted. 7. Allow to cool slightly while you work on the eggs. 8. Separate egg yolks from whites and set the yolks aside. 9. Beat egg whites and cream of tartar with a hand mixer until glossy and stiff but not dry. Set aside for a moment. 10. 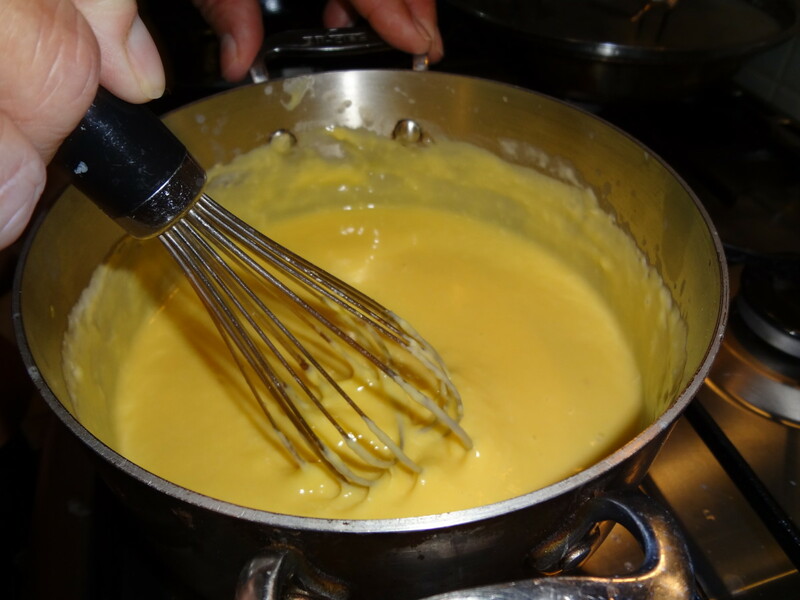 Add yolks, one at a time, to the butter/flour/milk mixture and whisk until thick and yellow. 11. 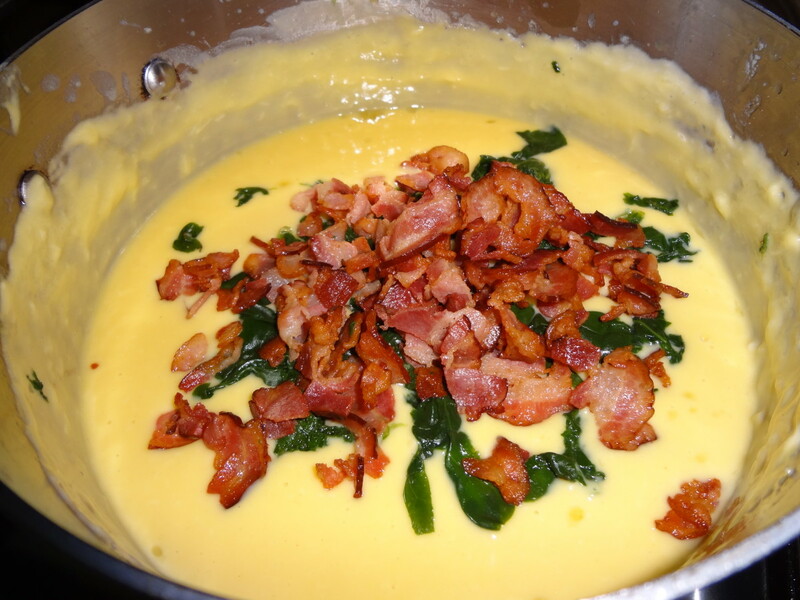 Add bacon and spinach to the yolk mixture. 12. 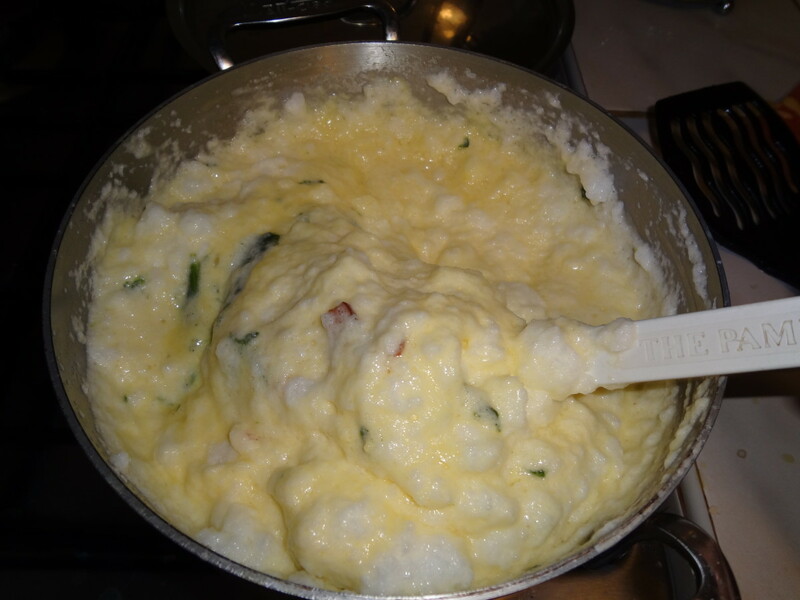 Quickly mix a large dollop of egg white into yolk mixture. 14. Using a spatula, gently fold rest of stiff egg whites into the yolk mixture. 15. Pour into prepared muffin cups or ramekins. 16. Bake 20-25 minutes or until puffed and golden brown. Rose, thank you for your kind and meaningful comment. I'm glad you're going to try these soufflés! They really aren't difficult and are so worth the extra effort. Have a great day and thanks for the vote and comment. FlourishAnyway, hope you can try these soufflés sometime! This looks delicious, and the photos are gorgeous! Now I'm hungry! 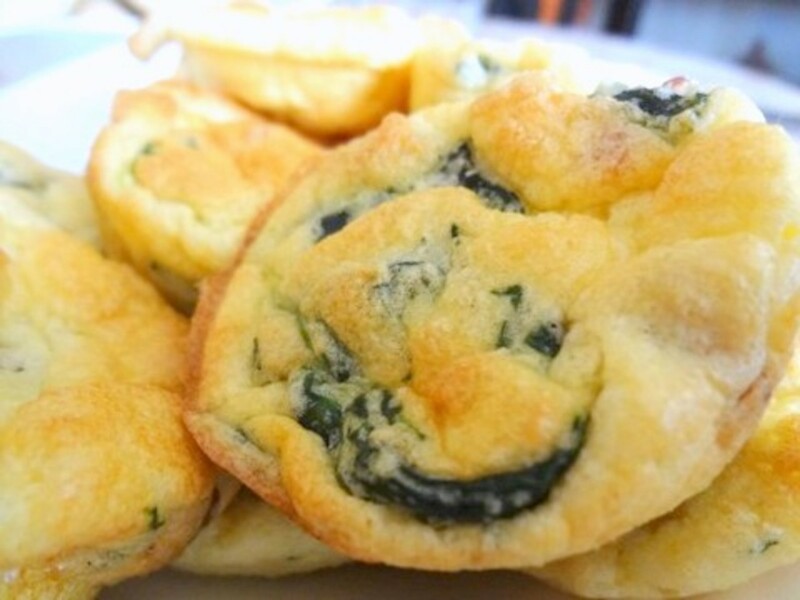 Rebeccamealey, these breakfast soufflés are great for a special brunch. Hope you can try them! I appreciate the comment and share. Au fait, these breakfast soufflés are perfect for a fancy Sunday brunch. Hope you can try them sometime! Thanks for sharing. These are so cute, and look delicious. These would be nice at breakfast for holiday company. Thanks for sharing! Shared! 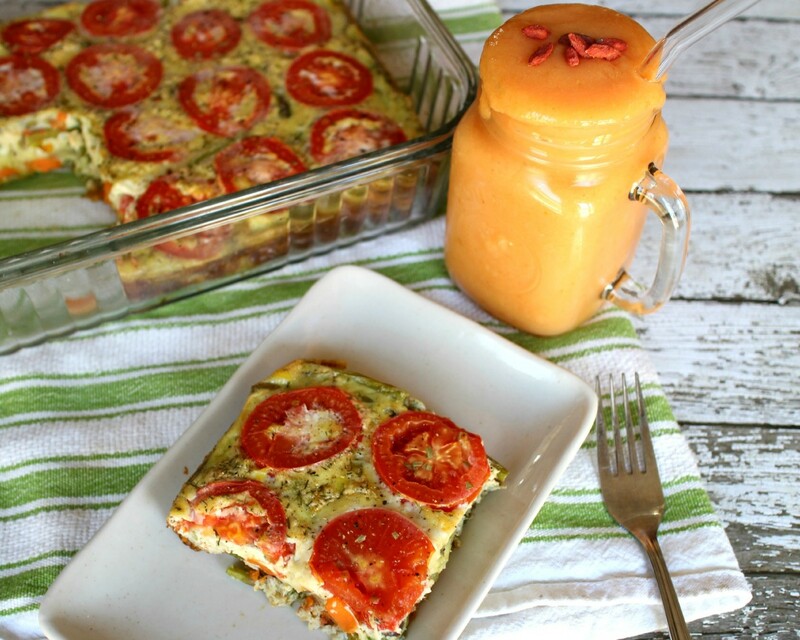 Love this recipe and going to share it with my followers. Au fait, these souffles are a delicious addition to any meal! I hope you try them sometime. Thanks so much for the votes and comment! Looks so yummy and I'm hungry. Still haven't had my supper since getting home from work. I love soufflés. The ingredients include so many of my favorite things -- this one must be delicious. Voted up and 5 stars! 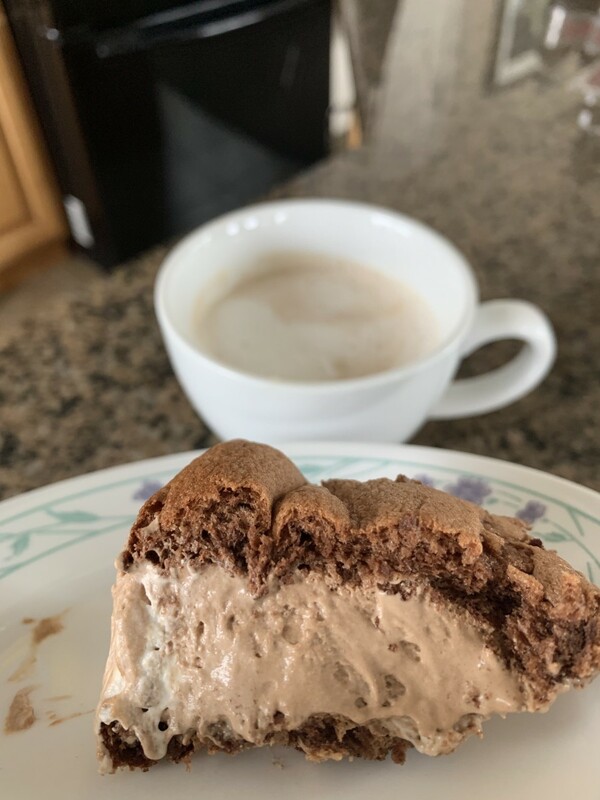 Marcy Goodfleisch, with a hand or stand mixer and a little patience, souffles are actually pretty easy to make and the pride you feel when you pull them out of the oven makes it all worthwhile! Thank you for your kind and supportive words. I know we'll all get through Panda together! I appreciate the vote and comment. I love the way you combine great writing with exquisite recipes. I'm still a bit intimidated by souffles and other exotic dishes, but you're convincing me I can learn! Voted up! 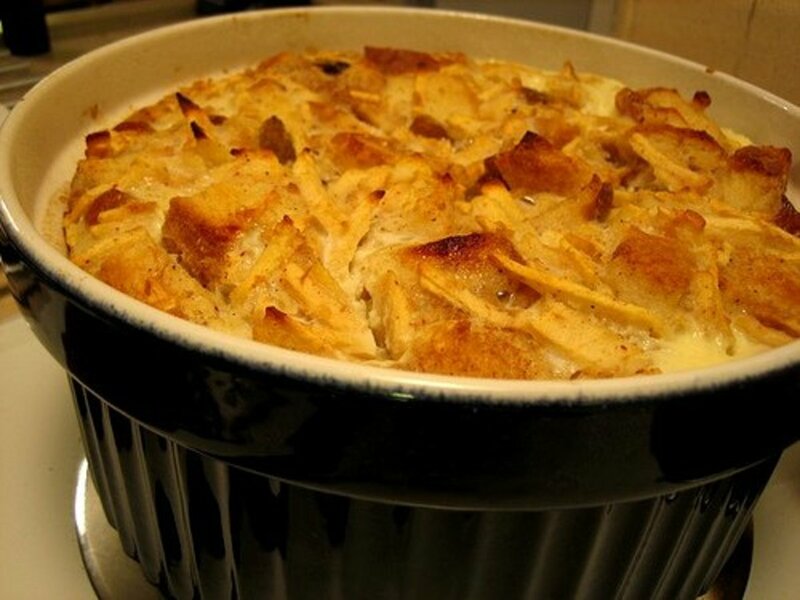 ignugent17, I'm glad you found the recipe useful and hope you enjoy it as much as we do! It seems so elegant and yet it's pretty quick and easy to put together. Thnks so much for the vote, pin and comment. Souffle is a French dish. I have additional information besides the recipe. 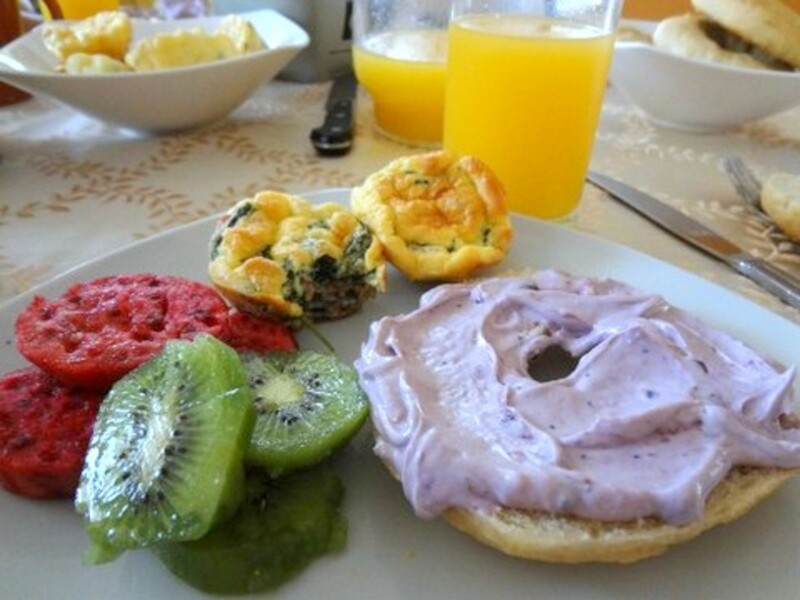 I have an Italian friend who invited us for breakfast and she prepared this kind of dish and I liked it but I am just too shy to ask for the recipe. Now I am very happy to see that you shared this hub. I also like this dish because it is forgiving unlike other recipes they don't forgive if you over beat the eggs. Thanks vespawoolf. :-) Voted up, useful and pin it. RTalloni, thank you for taking the time to comment. I hope you have the opportunity to try the souffle! I'm still smiling at your intro, and this recipe looks fabulous! Peggy W, thank you for your comment. Enjoy the souffles! We also like souffles but never thought of making individual ones using a muffin pan. I liked the sound of all of the variations you mentioned. Will have to make some soon! Voted useful, interesting and SHARING. Claudia Tello, these souffles are very versatile and yummy. Thank you so much for stopping by! 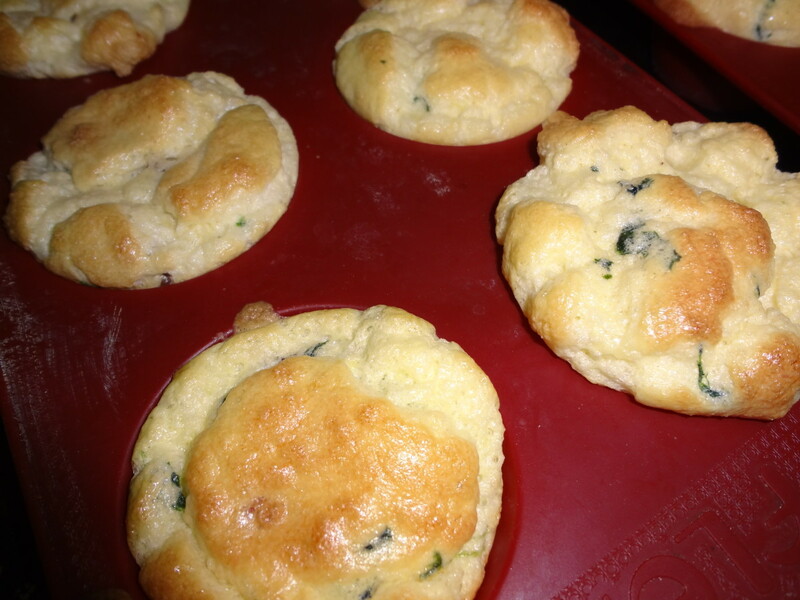 Bacon, eggs and spinach go very well together and they look beautifully presented in your mini soufflés. Great idea for a special breakfast or even as nibbles when entertaining. I hope you enjoy them, moonlake! They look really good. Will have to try them. Thanks for sharing. Vote up. Nice to meet a fellow breakfast lover! Please let me know what you think and thank you for stopping by. I have had souffles in the past but I have never actually attempted to make them. This doesn't look all that difficult so I am definitely going to give this a try. After all, I am all for a good breakfast. It is my favorite meal of the day! Thank you for your feedback, ElizaDoole! I hope you enjoy the souffle recipe, as well. It's always nice to hear from you. 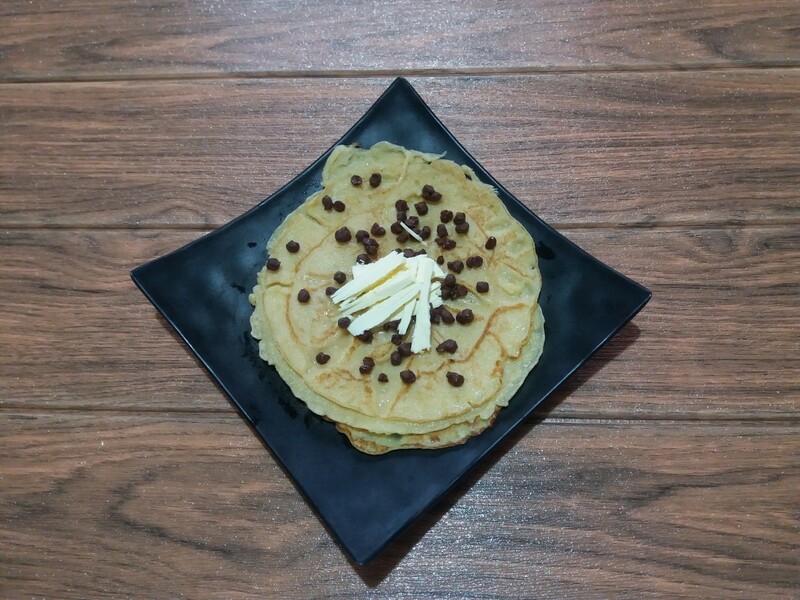 Thank you for dropping by, midnightbliss! I just ate brunch, but after reading your hub I'm hungry again. Yumm! Thanks for sharing. It's always nice to hear from you, IndieJoe! You had me at eggs, spinach and BACON. Thanks for demystifying the souffle. This is a keeper. Thank you for commenting, Just Ask Susan. Please drop by again and let me know what you think of the souffles! Oh wow this looks delicious! I can't wait to try this recipe. I agree...it's a winning combination. Thank you for dropping by, Lilleyth! Oh my goodness that makes me hungry! Anytime I see bacon or spinach in a recipe I have to try it. Thank you for stopping by, Shannon Paigah. Enjoy the souffles! Thank you for your kind words, Victoria Lynn. I also enjoy your hubs and recipes and look forward to more! Looks delicious! I know what I'm having for breakfast this weekend. Thank you!! /Wow, this looks incredible. I've never made souffle. I love bacon and spinach. I really like this hub. I loved how you started so creatively, like you were writing a novel or short story. Awesome and many other votes! You're welcome! Thank you for visiting and for your comment, flashmakeit. Tasty treat! I just love spinach so thanks for the idea and recipe. Thank you for your nice comment, randomcreative! I agree about the bacon. It's hard to resist! It's always nice to hear from you, alocsin. Thanks for dropping by. That looks delicious and so elegant! I'm sure that this recipe always impresses people. Thanks for sharing. Wow, all these recipes you're coming up with. I like the bacon in this one. Voting this Up and Useful. Thanks, jenubouka for your meaningful and cheerful words! Souffle really is a lot easier than most imagine. 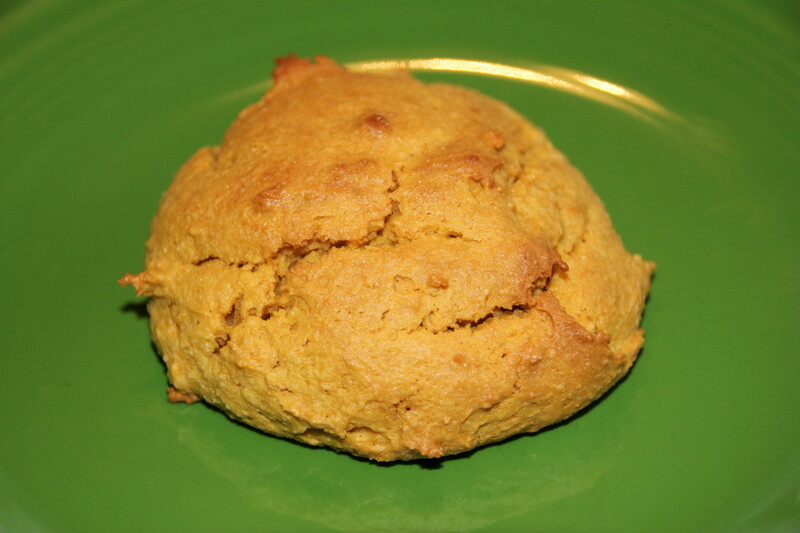 What a great step-by-step recipe and pictures! Some cooks fear this dish, however you make it seem painless. I love your story and the ingredients are classic! Yum, where is that button!! Thank you for commenting, Maddie Ruud. 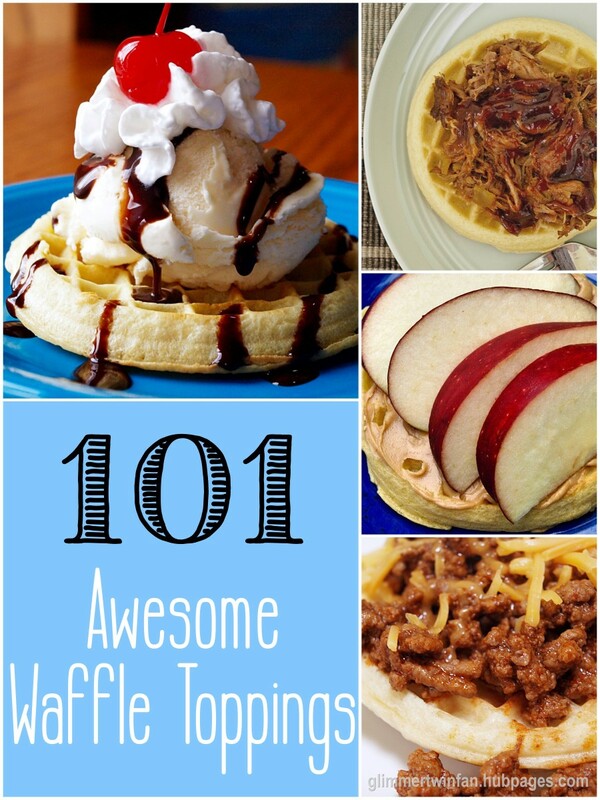 They're not as difficult to make as one might think and they make a delicious breakfast! Yum, yum! I'm a sucker for a good soufflé. I never thought to make them for breakfast, though!